Goa, the land of charm, tranquillity and sizzle invites you to pamper yourself at Calangute Grade – a boutique hotel where comfort and luxury is served by the finest in hospitality and care. Calangute Grande offers its patrons spacious and tastefully designed rooms that incorporate Goan culture in its handicrafts and furniture blending with modern day amenities. 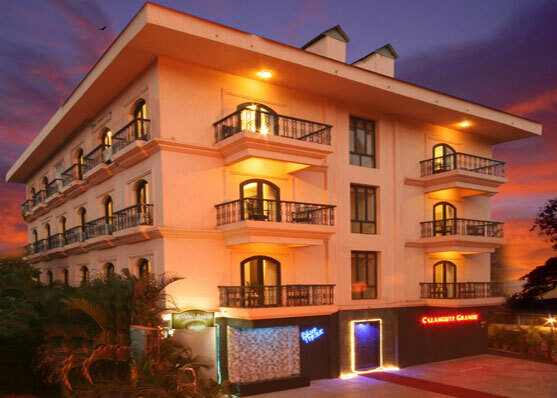 Your stay at Calangute Grande will be filled with lip smacking cuisines from our restaurant 'Diners' and vivacious evenings at our pulsating Lounge Bar 'BlueTranz'. Relax your senses as you dive into the swimming pool or laze around and sun bathe on the pool side beds. Revitalize your mind and body with ayurvedic therapy at our Rejuvenation Centre or simply sip a cold coffee as you skim through a novel at our Coffee Shop 'Black Cafe'. You can experience it all at Calangute Grande. Located on the western coast line of North Goa,45mins from the airport, 30 mins from Panaji, Calangute offers a whirlwind of activity with restaurants, shacks, pubs, arts, crafts, adventure sports and a host of other options that will make your trip truly exciting and unforgettable. 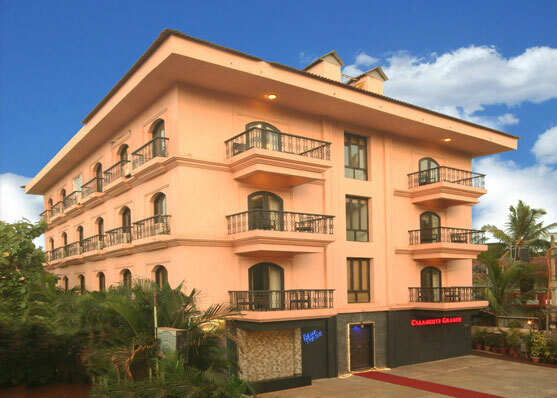 So inquire today and book your stay at Calangute Grande - An ideal destination for leisure, adventure and luxury.